The way to prevent clogged gutters and the need to clean your gutters is to purchase only the best-rated gutter protection from Gutter Helmet. 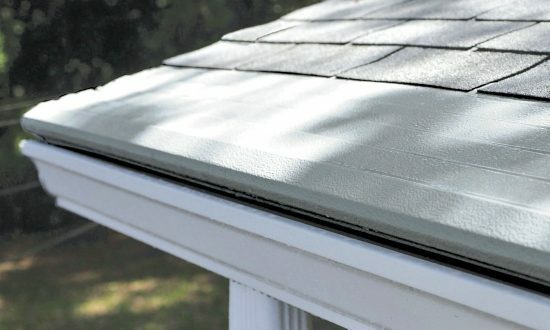 There are a few reasons that Gutter Helmet® gutter covers perform better than others. Let’s look at the two most common gutter cover designs and why they often don’t work as advertised. Metal drop-in gutter guards consist of a piece of aluminum perforated with small holes. The metal lies flat over the gutter, which creates a place for leaves and other debris to “sit.” When the only way for water to enter gutters is through perforations in the cover, this means that wet, soggy leaves will eventually cover the holes and water will be blocked. In addition, pine needles and seeds can become trapped in the holes, making the perforated guard inefficient and difficult to clean. Screens generally keep large debris out. A drawback is that because they’re often pitched level, they can become covered with leaves. Once they’re covered, water can’t get in and you end up with the same overflowing water issue that you had when your gutters were clogged. In addition, seeds, pods and pine needles can become stuck in the mesh – rendering the gutter screen useless. Gutter Helmet’s patented gutter covers are different. First, Gutter Helmet is a solid cover with no holes or mesh to become clogged. Our covers install on a pitch, similar to your roof’s angle, so water and debris flow downward. The 3/8-inch opening allows rainwater into the gutters, even at hurricane rainfall rates. The nose-forward design and narrow opening for the water is different from the competition’s half-inch or larger opening that allows more than just water in. 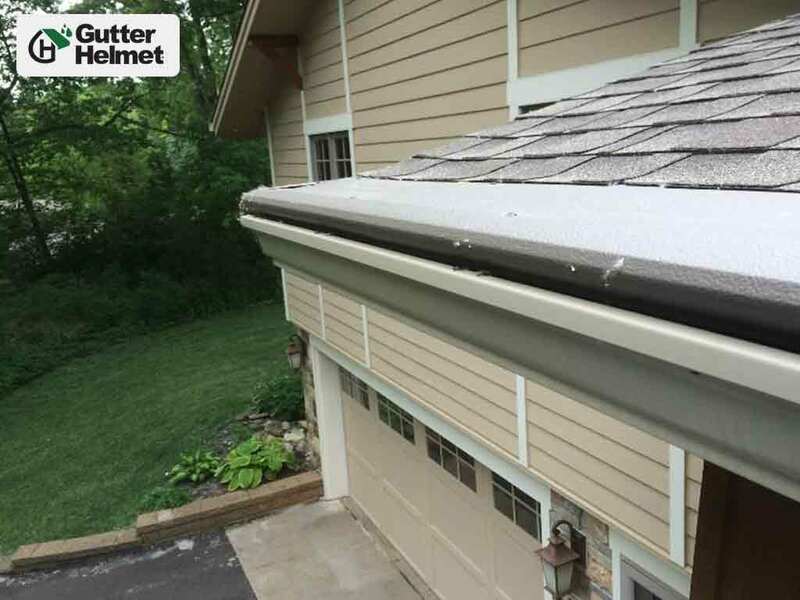 Plus, if you live in a colder part of the U.S., we also offer the Helmet Heat® heated gutter cover which reduces the build-up of ice on your gutters throughout the winter. If you’re ready to learn more about the best-rated gutter protection, call Gutter Helmet today at (800) 824-3772. With our nationwide network of authorized distributors, there’s one near you who can answer all your questions, properly size your gutter covers and have them installed so you never have to clean your gutters again!